In large stockpot, place beer, cover and boil. Add mussels, chopped red onion, Central Dairies 35% Whipping Cream and chopped garlic. Steam until they open. 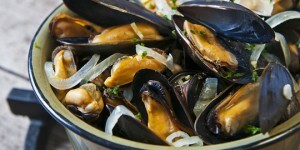 Remove cooked mussels from the pot. Reduce reserve juice to 1 ½ cups. 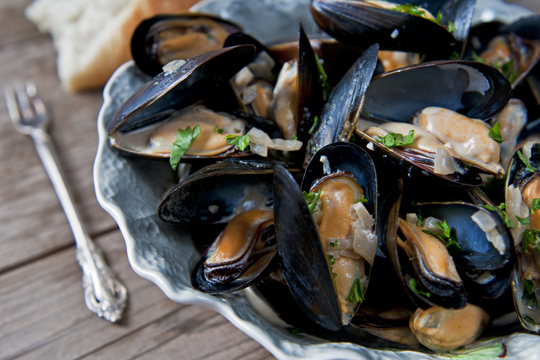 Add chopped parsley and lemon juice and pour over mussels.